Penlights give you all the benefits of carrying a flashlight while being a comfortable fit for any carry thanks to a form factor that's familiar to hold and use and powered by common batteries. 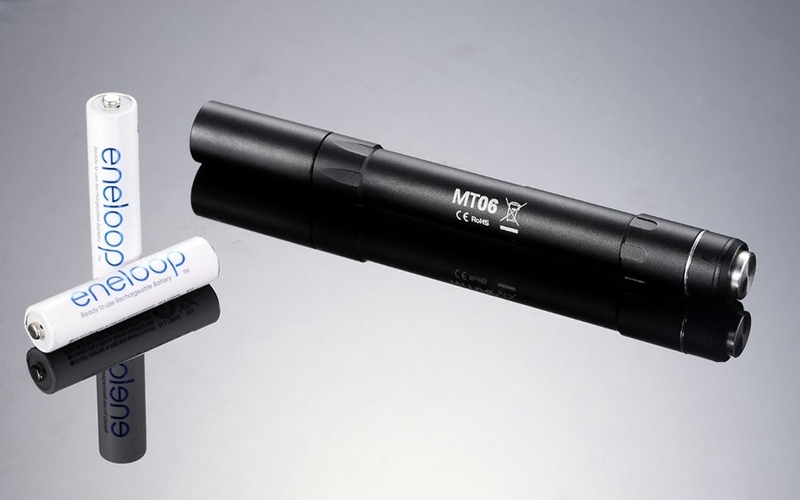 Nitecore set out to offer a solid penlight in the MT06, and its features tick all the boxes. The MT06 uses a Cree XQ-E R2 emitter, smaller than its peers but also able to produce a more focused beam up to 165 lumens for up close and personal applications. Its 5.04” length and pocket clip lets it ride along with the rest of your writing tools, and a two-mode tail switch lets you operate it as you would a common click pen. 2 AAA batteries are a convenient power source, while a runtime of 5.25 hours ensures lengthy operation before having to run to the store for battery replacements. Fancy a familiar flashlight for trouble-free EDC forays? Pick up the Nitecore MT06 at the link below.